Binance, the crypto-to-crypto exchange founded by Changpeng Zhao, rose to be one of the most successful exchanges in 2017-2018 because it prepared itself well for the crypto mania. The Binance Coin (BNB) is a utility token used on the Binance platform. The relationship between BNB’s value and the financial success of Binance the company going forward. How does BNB capture value for BNB-holders. This analysis will be the basis for our assessment of BNB’s investment worthiness, or at least a framework for how we should evaluate BNB going forward. BNB is a token used on the Binance crypto exchange (founded in 2017). For traders, it provides a discount in fees. Essentially the trader would buy BNB and when using BNB to buy another coin, the trading fee is reduced. The whitepaper also claims that it is used to reduce withdrawal fees and listing fees. There are plans for future utility of BNB i.e. 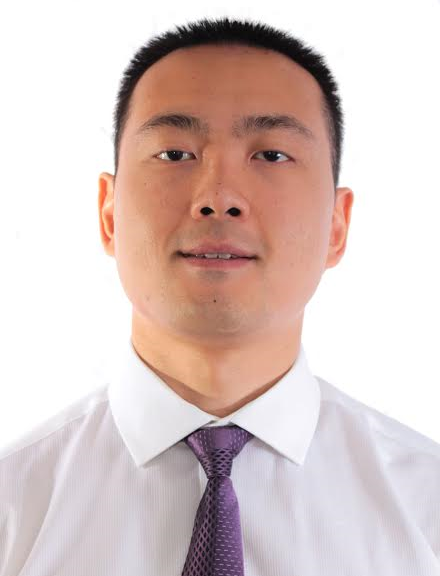 as gas for Binance when it is decentralized, as well as outside the scope of trading like as a digital currency for online gifts, for crowd-lending, purchases at airports etc. At best, the volatility of BNB’s price and excitement of BNB’s roadmap make it suitable for trading in the short-term, but we do not believe it is suitable as an investment. BNB was ISSUED/MINTED (not mined) and distributed by a central source - Binance. In total 200MM BNBs will have been distributed. Vesting for Founding Team: 20% (16MM) each year (5 years x 16MM/year = 80MM) - In other words, the founding team will be paid in BNB until they have acquired the 80MM allotted for them. Vesting for the founding team increases circulating supply while burn decreases it. However, since there is a limited maximum supply, there is ultimately a future supply of 100MM, which points to the deflationary direction and should help BNB appreciate until there is only 100MM left. However, we believe that this “deflationary” factor would be priced in because the final supply is fact made publicly in the whitepaper. Our opinion is that the burning of BNB is a way for the team to capture value since the team is getting paid in BNB and holding BNB. (Their incentives with BNB is different from that of traders). The 40% for the founding team is a concern. On one hand it means there is a team who’s incentive is for BNB to appreciate while the team holds it. But on the other hand, the value of BNB could fall sharply if this group decides to cash out. We can call this founding-team-integrity risk because technically, and effectively, they have the final say on any aspects of BNB. Currently too concentrated: The current distribution(above) shows that most people are mostly using BNB on the exchange and not holding BNB on their personal wallets. We can also expect some of the top holders to be angel investors and founding team members. The concentration of BNB at one source is 1) a security concern, 2) impediment for network growth (based on principles of Metcalfe’s Law). So far, BNB is used essentially for fee discount on the Binance trading platform. If you hold 500 BNB, you can earn 40% on referral commission. situation that might come up. Dust to BNB: If you have traded on Binance in 2017 and 2018, you would always end up with a small fraction of the coin “stuck” in your account. You can’t trade or transfer it because its too small. BNB now allows you to convert this “DUST” into BNB. As with almost all crypto, price speculation is also a major use case - this use case however adds exchange risk for other use cases that would prefer a token with stable value. There is not enough details on how BNB will be used on the DEX. This is a critical missing part of information we need for a more complete understanding of BNB’s value. While BNB offers value in terms of fee reduction, a savvy trader understands that using BNB to trade involves an exchange rate risk, because BNB’s value fluctuates as well. The trader would have to make two trades i.e. BTC to BNB then BNB to ALTCOIN X, so there is an additional friction in order to benefit from BNB. If you hold a lot of BNB so you can always go straight from BNB to ALCOIN X, then there is exchange rate risk because during that time, BNB value could go down (or up). Additional friction and/or exchange rate risk is usually not something a trader wants to add to the already existing risks of trading. We also know that the fee discount is reduced until there is no discount in year 5. So for a trader, this benefit declines to 0. The ICO mania is arguably over so demand for listing will come down and therefore demand for BNB for listing purposes will also come down. 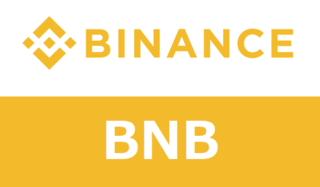 BNB provides funding for development of Binance. This is really where the value will be captured - by the founding and the development team and for the Binance organization and its products. BNB also helps the organization as a way around fiat. Binance wants to be an international organization without boundaries, so it does NOT want to touch sovereign fiat currency (for now). There are “hopes” for future utility, and CZ (founder and CEO) claims that BNB is gaining adoption as a token on other platforms (not just for trading). We do not recommend investing purely on hope, especially on such a fickle industry. From the “new” uses for BNB that Binance has listed (see above), we believe that BNB’s token economics and dynamics will become more complex and therefore more UNCLEAR. Lack of code to govern token economics is ultimately the issue. Finally, the DUST to BNB utility DOES NOT create real additional value for the trader because traders don’t need to deal with dust in other exchanges. Still, this option creates another path for BNB-demand, even though this is to deal with a problem unique to Binance. It is too early to tell whether these “partnerships” will achieve network effect. It should be noted that in many of these partnerships, such as with Gifto or Decentraland, BNB would essentially be a competing token to their native token. These partnerships bring up more questions than answers at the moment. At the end of the day, BNB has been established as a loyalty token for Binance, but is at an early experimental stage when it comes to expansion of use cases. We can see from the above screenshot that the binance-exchange github page include only codes for using its API. This is very useful, BUT does not tell us the source code for the BNB token. Having no access to the source code makes it a challenge to evaluate the coin objectively. (Back to the Team-Integrity-Risk). Another way we can say this is that “the BNB token has no decentralization edge as far as we can tell”. BNB is currently on the Ethereum blockchain (as an ERC-20 token), but Binance has plans to move it to its own Binance Blockchain. Perhaps the source code will be revealed, and we can then make as assessment. Without the code, it is also impossible to assess the security of BNB. As a centralized coin, the Binance team will have to police double-spend and other fraudulent actions. Again, this lack of transparency adds to the found-team-integrity-risk. Lack of Regulation - Binance has the challenge of company without borders, meaning it does not belong specifically to any jurisdiction, and at the same time belongs to every jurisdiction it operates in. Essentially, Binance risks being shut down by countries like the US, China etc, BNB can become subject to money transmission laws especially if it travels outside of the Binance platform. Furthermore, the lack of regulation puts emphasis on the organization’s ethics and integrity. This will be a very subjective assessment, so we will refrain from giving our opinion until we have deeper insight than what the public knows. Competition - Binance has astronomical success in 2017 and into 2018. The number of exchanges continue to rise, and DEXes are also being built and improved. ICO mania is over - It’s possible that the ICO mania is over so the demand for BNB for listing purposes will be greatly reduced. The most important question is: “What is BNB’s source code” , or what will the code be once Binance is decentralized and BNB is on the Binance blockchain. Finally, we need more details on BNB’s partnerships and expansion into other use cases. While it enumerates many on its website, data on usage of BNB in these 3rd party platforms is not available. Therefore, we can’t simply trust that BNB will be used in these other use cases i.e. for gifting, for travel expenses in Australia, for seed funding/lending. In our opinion, at this stage it is overly optimistic to believe that these use cases will gain the necessary network effect to be sustainable. 1) BNB is NOT a cryptocurrency and can be controlled by a central source - FOR NOW. 2) Traders see a declining utility for BNB as a fee discount. 3) We don’t know the source code of BNB. We believe that BNB as it stands now is appropriate for trading, but too risky for long-term investment. 1) BNB- Binance relationship: The only direct relationship is the burning of BNB at the rate of 20% of Quarterly profit. This means, IN THE SHORT-TERM, BNB can appreciate when Binance profits. 2) BNB capturing value: Traders can extract short-term value out of BNB’s utility in terms of fee discount, referral bonus, and other promotional usage. BNB is a loyalty token in this aspect. Long-term value is essentially 100% speculative because we don’t know how BNB will be used in the future. It could essentially be based on the whim of the Binance community if Binance does become a DEX. We want to wait for Binance to transition into a DEX before further assessment. But unless the code is supplied, we can not recommend BNB for investment outside of the short-term. If BNB manages to evolve into a cryptocurrency with many use cases outside of Binance, it will definitely invite more regulations and therefore more external risks.